A video settlement brochure can be used as a powerful, out-of-court settlement tool to tell the story of the plaintiff through compelling visuals and testimonials from family, co-workers and friends who have been affected by the unforeseen incident. All interviews, photos, home videos and a professional voice-over are edited together to create a presentation that establishes dependency, loss, and impact as a result of the person’s death. The majority of civil cases never actually make it to trial. This means that mediation is the key step in these cases. In situations such as workers comp, personal injury, products liability, medical malpractice, social security, and nursing home abuse and neglect, the mediation stage will be the point at which you make your case and the resolution will be determined. Mediation can be a difficult situation. Emotions are high and both sides are struggling to be heard. Unfortunately, it is often the victim that can’t get his point across effectively. Settlement documentaries can be a powerful way for a victim to tell his story. Through professional legal videography you can give critical insight into the day-to-day life of the victim, demonstrating the damage that an incident has caused him. This legal documentary provides a strong platform for the words of the victim, presenting them in a way that could not be shown in any other way. It is thought that when simply told something, people will only remember 20% of what they heard. However, if they are both shown and told something, they will remember 80% of that information. Our legal video services can develop settlement documentaries aimed at allowing decision makers to visualize the damages that the victim, his family, and those around him have suffered. ​Settlement documentaries can provide compelling video testimony from a variety of people. Rather than depending just on the words of the victim at that moment, or written statements provided by members of the victim’s family and other dependents such as his coworkers, friends, and employer, you can allow those people to have their own voice, and describe in the context of their own environment how the unfortunate, unforeseen, and tragic incident that befell the victim has impacted each person individually. Often it is extremely difficult for a jury, judge, opposing counsel or anyone else that is important to the decisions made in a case to understand just how seriously an incident affected a victim just through words or documentation. A video settlement brochure, however, gives these people the opportunity to really understand how a victim’s life has changed. Such a legal video gives you the chance to show, quite literally, a day in the life of the victim. It is much more compelling to demonstrate how a victim has had to modify his life, and how his family has had to work around these modifications and modify their own lives in order to adjust to the changes caused by the incident. Professionally produced legal videos are developed to stay with the viewers. You want those that see the video to remember what it looked like for the victim to struggle through his daily activities, and to continue to hear in their minds the words that were spoken. This can make a tremendous difference in your case. 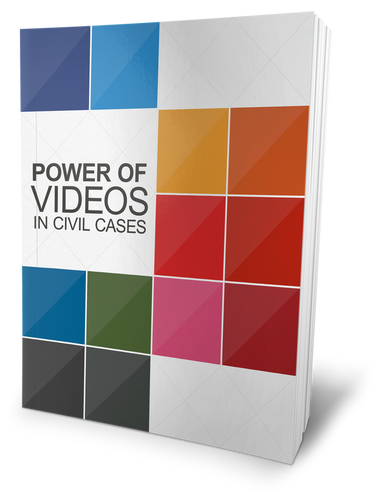 A video settlement brochure can be extremely effective in demonstrating to these people the impact the event or issues has made on the victim.